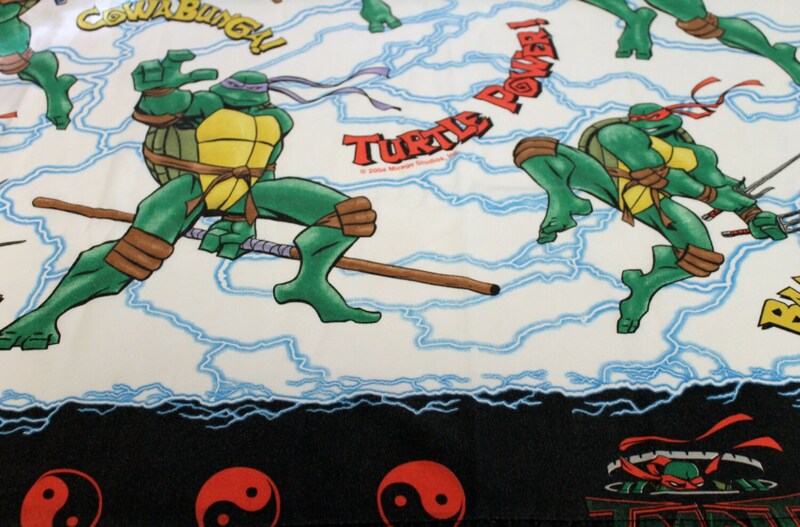 This is bright and color vintage sheets featuring the popular Teenage Mutant Ninja Turtle characters for the 80's. 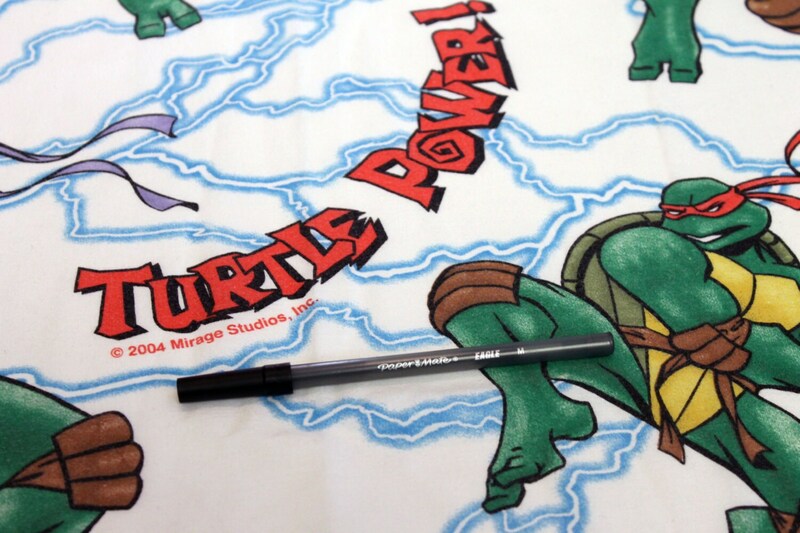 The sheet is dated 2004 and features all the turtles from the cartoon series. Condition: Used, but in good condition. 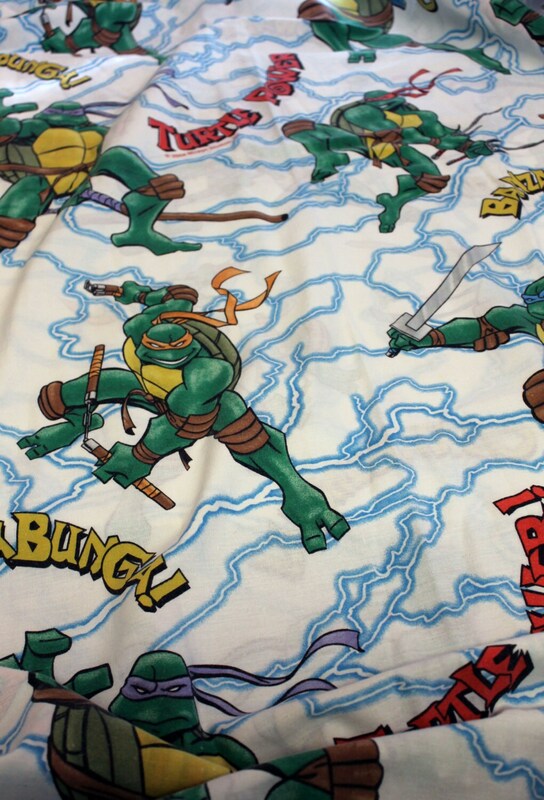 The sheet has not holes or stains. 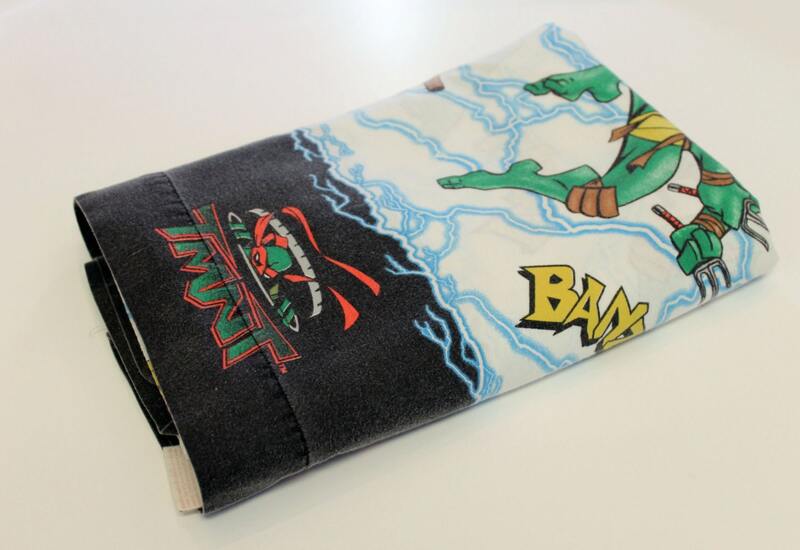 It does have some slight fading and pilling from use and washing. Note - This item was purchased used and I am not able to confirm if it has or has not been around pets or smoke. All items are machine washed before selling.